FreedomPACS is participating in the Illinois Rural Health Association (IRHA)’s Annual Education Conference, Aug. 22-23. We provide quality medical imaging solutions to hospitals, medical practices, imaging centers and other healthcare facilities. Visit the FreedomPACS exhibit to discover how our web-based PACS and cloud storage resources can make your practice more effective and efficient. Sign up for the drawing in person at the conference or on this website (online entries must be submitted on or by Aug. 21). Only facilities affiliated with the IRHA as a member or conference attendee at this event may enter. The winning facility also agrees to certain support and installation requirements. Enter the IRHA FreedomPACS Drawing Now! FreedomPACS is exhibiting at the 2013 Texas Critical Access Hospital (CAH) Conference and Tradeshow, June 12-13. We look forward to reconnecting with our fellow TORCH members and helping you harness the advantages of our radiology PACS, diagnostic viewer and off-site cloud storage solutions. TORCH will also be giving away an Eizo monitor donated by FreedomPACS in a drawing to conference attendees. Make an appointment with us. Learn how we helped TORCH member Winkler County Memorial Hospital enhance patient services and reduce costs. FreedomPACS is pleased to be participating in the 2013 MASA Annual Session on April 11-14. Visit us at the Medical Association of the State of Alabama (MASA) 2013 Annual Session; we’re looking forward to interacting with all the great MASA medical professionals again. Join us at our booth to learn how our web-based PACS and cloud storage can help make your practice more effective and efficient. Want to learn more about FreedomPACS? Check out our PACS Benefit Overview. FreedomPACS is attending the Texas Organization of Rural & Community Hospitals (TORCH) Annual Conference. We welcome you to stop by our booth to learn more about how our Radiology PACS and Cloud-based off-site storage can help your hospital. Read about FreedomPACS was able to help TORCH member Winkler County Memorial Hospital save money and improve patient care. Connect with us at the Radiological Society of North America (RSNA) Annual Meeting on Nov. 25-30 in Chicago. We’d love to meet up and learn more about your business. Contact us to connect during the meeting. Learn more about FreedomPACS and FreedomPACS Cloud: Check out our PACS Benefit Overview and our special pricing for HIPAA-compliant off-site storage. Join FreedomPACS in Nebraska with the Wide River Technology Expansion Center on Oct. 30, 2012. This day-long event will discuss hot topics like Meaningful Use, Medicare EHR, HIE success stories, and much more. We’d love to meet up and learn more about your business. Contact us to c onnect. FreedomPACS and its off-site storage solution, FreedomPACS Cloud, will be exhibiting at the Texas Organization of Rural & Community Hospitals (TORCH) 8th Annual Rural Hospital Information Technology Conference & Exhibition (HITCON12) on October 17-18, 2012 at the Omni Colonnade Hotel in San Antonio. TORCH represents more than 150 rural and community hospitals in Texas—join us and stop by our booth to learn more about how we can help your radiology department with accessible and affordable radiology image management. We’ve been working with TORCH members for the past few years and look forward to networking with these strategic hospital leaders again in October. Learn more about FreedomPACS: Check out our PACS Benefit Overview. FreedomPACS is looking forward to exhibiting at the 35th Annual Rural Health Conference on April 17-20, 2012 in Denver, CO. The annual conference is organized by the National Rural Health Association (NRHA). The exhibition hall is sold out. Visit us at Booth 414, and you’ll be registered to win a free $50 Visa gift card! We welcome all attendees including rural health practitioners, hospital administrators, clinic directors and lay health workers, social workers, state and federal health employees, academics, community members and more. Join us to learn how our web-based PACS can help make your practice or hospital more effective and efficient. We can also offer and integrate Dragon Medical Practice Transcription Software into FreedomPACS. FreedomPACS is pleased to be participating in another MASA event in April. Visit us at the Medical Association of the State of Alabama (MASA) 2012 Annual Session; we’re looking forward to interacting with all the great MASA medical professionals again. Join us at Booth 7 to learn how our web-based PACS can help make your practice more effective and efficient. FreedomPACS is attending the Texas Organization of Rural & Community Hospitals (TORCH) Annual Conference. 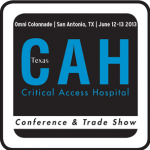 We welcome all our Texas friends to stop by our booth to learn more about how a Radiology PACS can help your hospital. Invest and Save with Section 179!